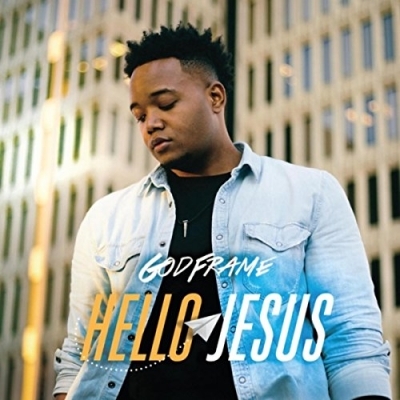 Christian artist/producer/youth speaker GodFrame has released his album 'Hello Jesus'. The thirteen-track project, which includes the popular lead single 'Forever Always' (feat. Chadaé) and was produced almost entirely by GodFrame. Read More Christian artist/producer/youth speaker GodFrame has released his album 'Hello Jesus'. The thirteen-track project, which includes the popular lead single 'Forever Always' (feat. Chadaé) and was produced almost entirely by GodFrame. He says, "I wanted people to see that just as easily as you would send a DM (direct message) to one of your family members or friends...that's how easy it is to communicate with God. A lot of people think that God is this unreachable, unloving, cold-hearted, distant being who doesn't give a crap about what we're going through in life. But Psalm 145 tells us that the Lord is near to those who call on him. That means He's with us, He's with you, and He does care." Let just start this review by saying I really enjoyed this album. It is a proper "journey" album but also had some truly stunning tunes on there. Opening track 'Hello Jesus' is a song about not doing good deeds but Jesus has paid the way for us. I loved the song 'La Vida Libra', this is the kind of song that will get you moving. It has a South American festival feel and sound to it. This is an uplifting album, it really is. Songs like 'I’m Alive' and 'Forever Always' have these beats and sounds that resound in the air from start to finish. Another song worth mentioning as well worth checking out is 'Castle Makers'. For all the uplifting moments on the album there are a few very raw and honest moments too, really honest moments. The song 'Be Anything' is a hard hitting and honest track. It's about being anything in God's eyes no matter about your past, the lyrics are so real that you can't help be drawn into the song and the picture it's painting. Another song that is very honest, which I love, is 'King of Hearts', which is about a man being a bit of a ladies man and how God turns the writer around into a Gentlemen to treat ladies right. Sometimes topics need to be spoken about, even if it isn't easy. In this song it’s dealt with and done with quality and dignity. So to conclude, for me the biggest sign I have enjoyed an album is the fact I can’t pick my three standout tracks for the review. Here I had a problem. I easily could have put five up there. This is a lovely album that goes from uplifting songs to storytelling to honest life moments songs, to hard and raw moments songs, to songs that are about telling God how amazing He is. So much going on here it will take a few listens to take it all in.